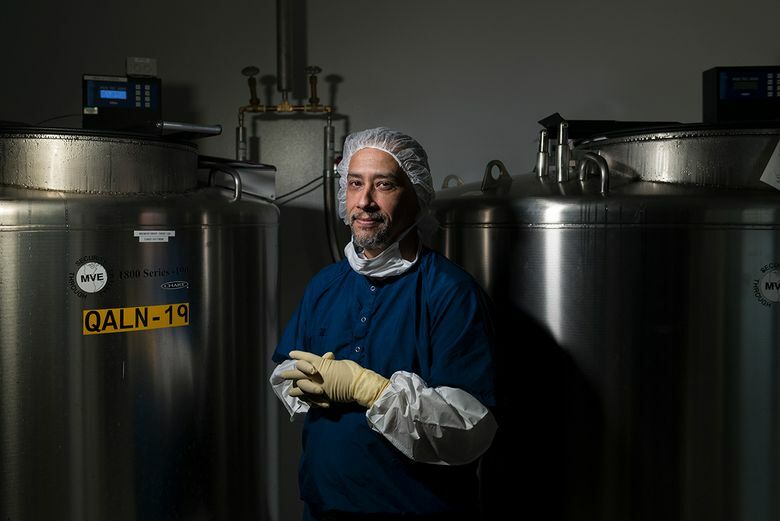 Luis Lora, 49, is a master tissue technician at MTF Biologics in Edison, New Jersey, where he processes human tissue that can be used to treat sick or injured patients. Q: What does it mean to work with tissue? A: Tissue includes cartilage, bone, ligaments and skin, and is used in reconstructive surgery and wound healing, as examples. I work for the nonprofit tissue bank formerly known as the Musculoskeletal Transplant Foundation. We’re a consortium whose members are organ procurement and tissue recovery organizations and academic medical institutions such as Memorial Sloan Kettering Cancer Center. I process the tissue, preparing it for use by medical professionals. Q: Where do you get the tissue? A: As with organ donation, a person may register to be a tissue donor such as when they get or renew their driver’s license. Or, the person’s family can choose to donate their tissue when they pass away. With a deceased organ donor, a number of people can receive organs, including the heart, lungs and liver. With deceased tissue donors, as many as 75 to 100 people can benefit from one donor’s gift. Q: What’s involved in the preparation? A: It depends on what it’s being used for. We might hear from a doctor helping a person who has been in a car accident and has a spine injury. The doctor may send images of the patient’s spine and ideas of what might be done to help. In a case like that, we can shape donated bone or combine several pieces of bone to create a bone graft that will fit that particular patient. As another example, we shape skin grafts to fit a breast implant for a woman having breast reconstruction after a mastectomy. We clean the tissue and sometimes treat it with chemicals that remove the cells — a process called decellularization. We also have it tested to make sure it can’t transmit any infection to the person who receives it. A: I was studying to be an architect in Colombia, where I grew up. When my family emigrated to the United States, I continued my studies, but I had responsibilities that made it too difficult to finish, so I became a technician at an auto dealer. I thought I needed medical experience for this job, but I didn’t. I received intensive training and had to learn about anatomy. A: In 2002 I told a friend who worked here that I couldn’t grow any more at my job, and he said there were openings at his company. I was reluctant about applying because I thought I’d be squeamish doing this type of work, and my family was against it. My mother and grandmother are very religious and thought the soul and body should stay together after death. After I saw how this work helps the living, I had a different view of life and death. I told them God doesn’t need our body, God needs our soul. Q: You’ve done a 180-degree turn. A: Since meeting tissue recipients and donor families at company meetings I’ve become pretty ardent about tissue donation. I probably always had this passion for helping others, but I never had the chance to show it.